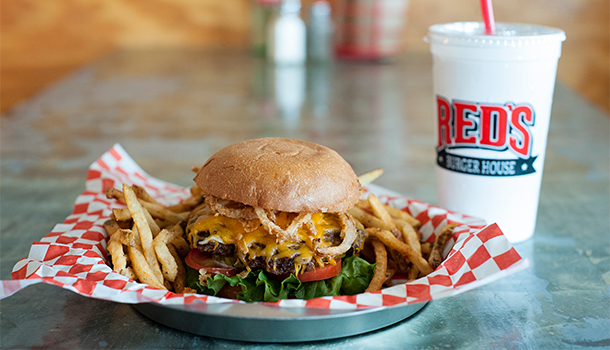 Our signature burger topped with homemade Fried Onion Strings and served with Fresh Cut Fries and a Drink. 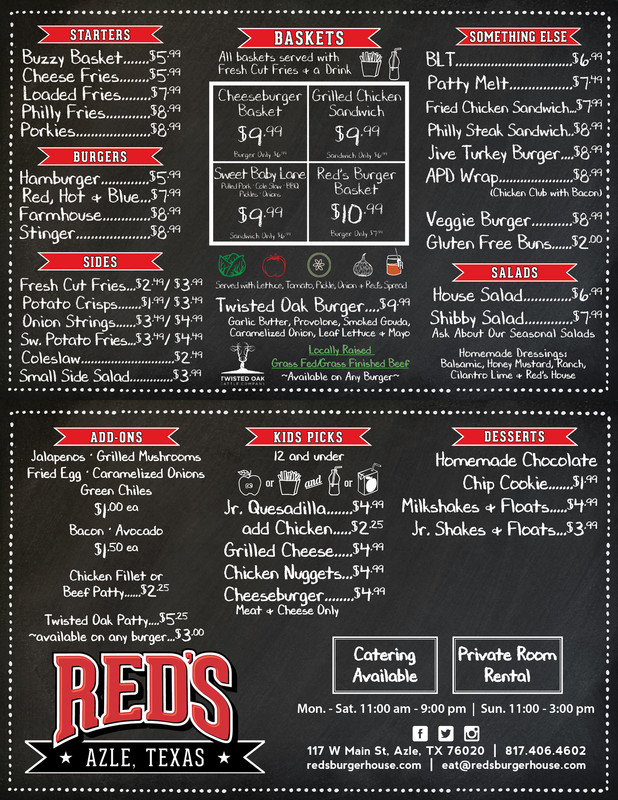 The Pride of Red’s. This a grass fed, grass finished ⅓ lb. burger grilled with garlic butter and topped with provolone and smoked gouda cheeses, leaf lettuce and mayo. 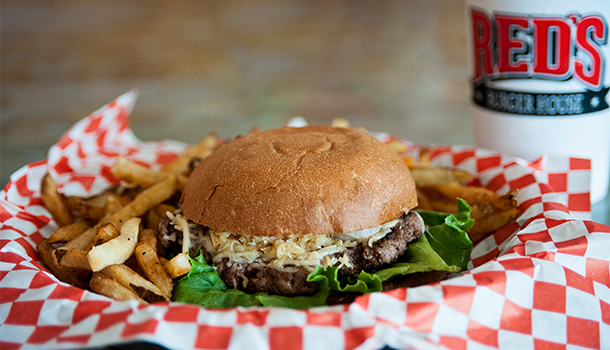 This is a burger connoisseur’s delight! 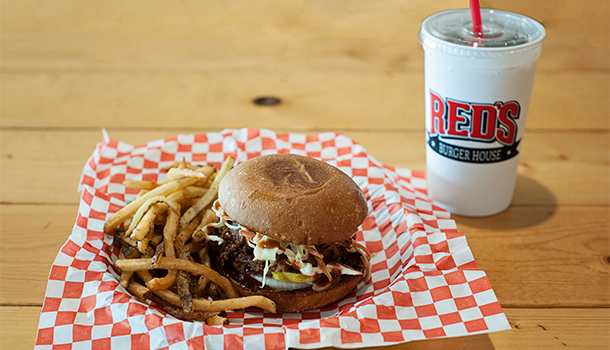 A pulled pork sandwich topped with BBQ sauce, fresh coleslaw and our homemade pickles. 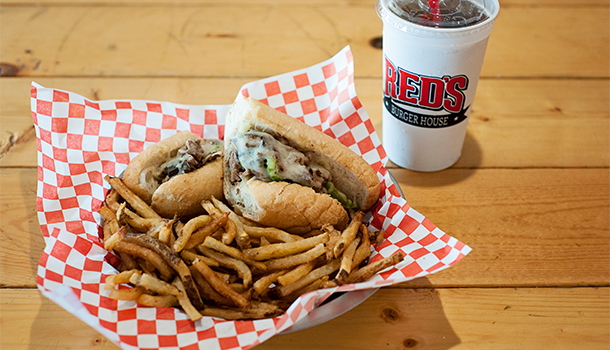 A Hoagie filled with thin sliced beef, provolone, caramelized onion, grilled mushrooms and green pepper. Delicious! 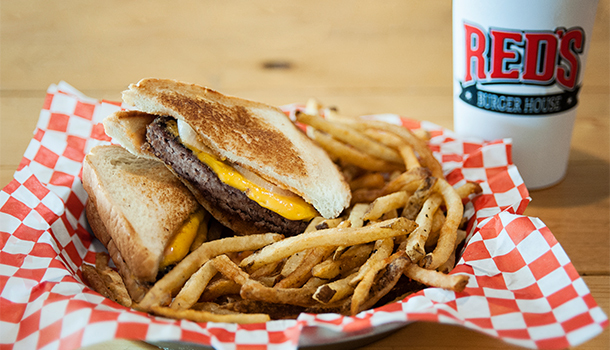 Beef patty topped with Caramelized Onions, Creamy Cheddar Cheese and our own Red’s Spread on Texas Toast. 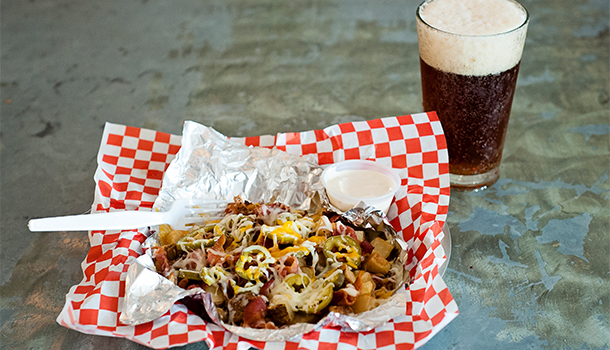 Fresh Cut Fries topped with Cheddar and Provolone, Bacon Crumbles and sliced jalapeños. Served with our homemade Ranch Dressing. 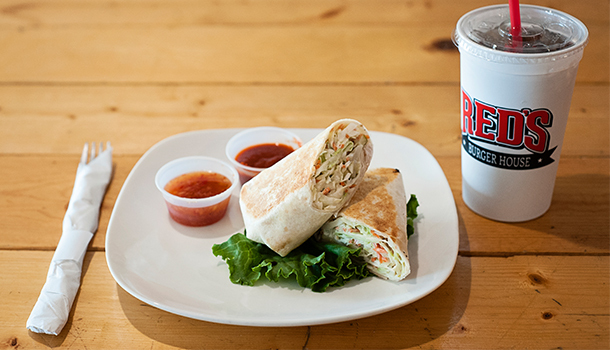 Grilled Chicken Wrap with Fresh made Coleslaw and our homemade pickles. Served with Sweet Chili and Sriracha Sauces.